This week has been quite a week for me. This week I’m going to talk about a few things. I am going to really hammer down on the importance of your health. I know so many of us, we understand that our health is important, but I don’t think we quite understand really how important it is until something happens. Right? This week I have been dealing with my dad going into the hospital. On Friday night, I gave him a phone call. I usually call him on a regular basis. I noticed something wasn’t right with his memory. He was very delusional. My husband and I, we were supposed to have a wonderful date night that night. Instead we ended up going and getting my dad. We ended up calling 911. The ambulance came and took him to the ER. We have been in the hospital since last Friday. It is now Thursday. With all of this, he ended up having 95% blockage in his left artery. All of that is contributed to the way that he has lived his life. In the way that he has viewed his own health. Right now we are also dealing with a little bit of memory issues and what seems to be maybe something like dementia. So we’re not sure if it was all being caused with the surgery that he had on his artery or everything that has led up to this, or if dementia is really starting to set in. What I have realized in this entire process is life is extremely short. Your life can change literally in the snap of a finger. That quickly. I look back at everything up to this point and there were signs of all of this happening. Signs like a stroke was happening. I didn’t pay attention to any of those signs. I didn’t really notice the signs. My dad I think was too stubborn to even make me aware of what was happening. Maybe he wasn’t aware himself of what was happening, but it just really feels like it is all happened so quickly. I’ve been holding up very well thanks to my knowledge with coaching. I’ve been able to self coach myself on a regular basis, and just being able to stay really calm because of the fact I’m an only child my parents are divorced and I’m the only one that’s really helping my dad out right now. He is still in the hospital so send lots of prayers his way. I want to really emphasize to guys the importance of our health and like I said we don’t realize how important our health really is until it’s too late. We don’t realize that all this bad eating and not exercising and not taking care of ourselves in general. We think it’s so far away that it’s going to affect us but in reality it is like inching you every single day closer to that place of not being healthy. Not being able to get down on the floor with your kids. Not being able to be around for your grand kids. All those things that I hear my clients say. Like what’s your reason for wanting to lose weight. They tell me why they want to be healthy. I want to be able to have energy to hang with my kids. I find clients not doing that. It’s like it’s the comfort of being miserable in the moment because the future is so far off that we would rather be miserable with our weight and our health the way it is now then deal with the misery of having to eat healthier or having to plan on having to not use time as an excuse but actually do the work and make it a priority. To have our health be a priority, we would rather stay where we are because it’s familiar and in a odd sense comfortable. I really really really want to emphasize to guys to really think about this. To instead of every single day inching your way to an unhealthy status. To a day where literally your memory goes and you end up in a hospital and possibly have to go into a nursing home. That is how quick that this is happened. It’s all because my dad didn’t keep himself healthy all these years. He didn’t eat good. He drank a lot. He never exercised after he retired. He laid on the couch since 2013. The last five years. I want you guys to ask yourself, do you want to every single day be inching yourself to that place where you no longer have your health, or would you rather be trying to enter that place of better health. I want you guys to think like we try a diet. Then it doesn’t work and we just completely fall off. It’s like we were just giving up we are then inching to the unhealthy realm of our lives. Instead of trying to find something else that could work for us. Instead of trying maybe a new exercise program. Instead of trying to find the time and to make our health a priority. I really want you to think about that what is your compelling reason for wanting to get healthy and lose weight in the first place. Are you inching every day towards a place of unhealthiness, or up towards a place of healthiness. If you try something and it doesn’t work, as long as you keep trying, you’re not quitting. So many clients when we eat that cake. We give in to that cake. We give in to that urge. We want to just give up. What if we just forgive ourselves. We still keep inching forward. To completely give up beating ourselves up. Going back into this miserable cycle of being unhealthy. I also want you guys to think about being all in. This week when all this was happening. The last thing I want to do is record this podcast. I’m not even lying. The last thing that I want to do is try to come up with content to deliver to everyone. I even told my husband I wasn’t doing my podcast this week. That I was going to make an announcement that was not going to do this podcast. No matter how uncomfortable it feels for me to set aside the time to do this podcast for all of you this is what being all in is like. To be super uncomfortable. To have it be the last thing that you wanted to do, but do it anyways. I’m sitting in my office. I got away from the hospital for a little bit. I’m sitting here recording this podcast for all of you. Being all in. Inching your way towards better health instead of slowly working your way to an unhealthy state being, all in. This is what all in is. Its no matter what happens you make it a priority to get it done. Tonight is usually when I do all of the stuff. I’ll probably be editing in the hospital. I want you guys to see, like this is really what all in is like. All in with your health means setting aside the time to watch the bachelor to get on the treadmill. Walk for an hour. It’s maybe getting creative and watching the bachelor on your phone while you’re on the treadmill. It means it may be trying to find a way to order your groceries online. Suspending your grocery shopping and being able to work out during that time. Maybe it’s you look into something like Emeals that I’ve talked about past episodes and try to find healthy recipes and to implement those recipes no matter what. No matter what your situation is even if you’re by yourself to implement those recipes, to shop healthy, whatever it is that is what being all in is like. To really question yourself. What is it that you want. What is your compelling reason? Are you all in? As you all know, or if you don’t know because you haven’t listened before. I do have a free program the 42 day jumpstart out at my www.Angiegross.com. Be sure to check that out. I am taking three one-on-one clients. If you are all in. If you have decided that you are done being uncomfortable and you want to find a new discomfort that’s good and way better health reach out to me. I just have those three spots available. Once those three slots are filled guys. I am no longer taking one-on-one clients. 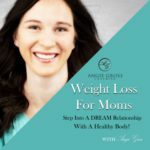 If you are interested in that you can email me at Angie@Angiegross.com so I hope you guys all enjoyed this episode, and I will talk to you all soon. Sign up for a FREE mini Session Today!